Official website for Jeramey Kraatz, author of THE CLOAK SOCIETY and SPACE RUNNERS. 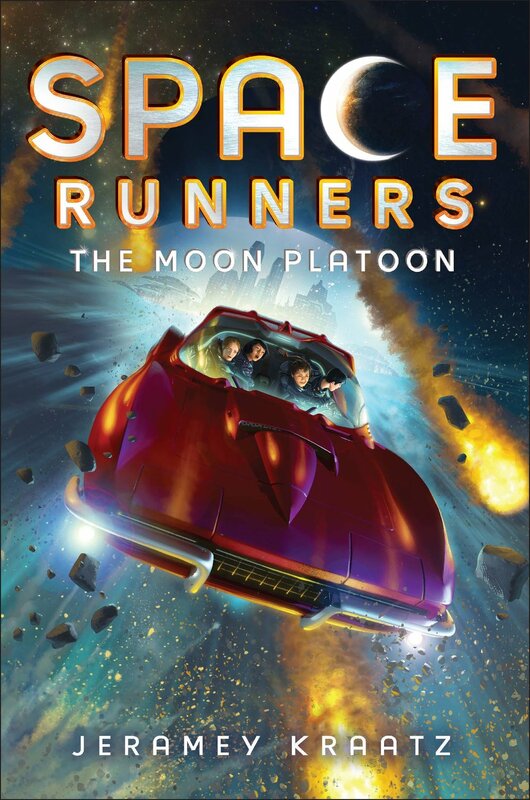 SPACE RUNNERS: THE MOON PLATOON is about flying muscle cars that race on holographic tracks, asteroids storms, gravity gloves, saving humanity with your newfound space friends, and ~moon secrets~. Also, we might not be alone in this universe. Just sayin’. You can get it in hardback or paperback at Amazon, B&N, Books-A-Million, Target, or your local bookshop! Stars Wars meets Ridley Pearson’s Kingdom Keepers in this high-stakes intergalactic adventure! The Moon Platoon is the first book in an action-packed series for tweens that’s perfect for fans of Eoin Colfer and Lisa McMann. In the year 2085, Benny Love is pretty used to surviving on what he and his family can scavenge on Earth. But when he wins a scholarship for a life-changing trip to visit the Lunar Taj, the first-ever resort on the Moon, Benny thinks he finally has a chance to give his family a better life. Benny can’t wait to fly his very own Space Runner, practice reverse bungee jumping, and explore craters on the dark side of the Moon. But he gets more than he expected when he and the other kids discover the Moon has secrets no one else knows about. Benny is a long way from home—and soon there might not be an Earth to go back to. SPACE RUNNERS #2: DARK SIDE OF THE MOON is out now, and the flying cars only get faster in SPACE RUNNERS #3: THE COSMIC ALLIANCE (catch it on 11/13/2018)!